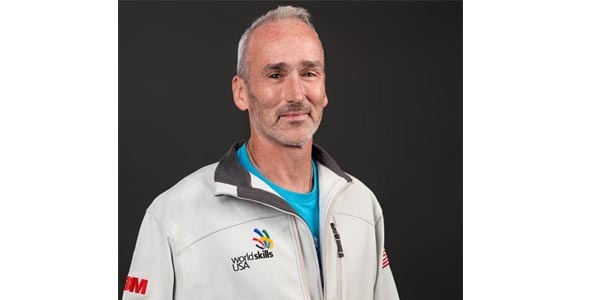 PPG announced that Jamie Redd, PPG training center manager and automotive refinish expert, has been selected by SkillsUSA to train recent high school graduate Dylan Wertz for the 45th WorldSkills Competition to be held at the Kazan Expo International Exhibition Centre in Kazan, Russia, in August 2019. Wertz will compete in the car painting category. He qualified for the competition by winning the category in the SkillsUSA Championships held last June in Louisville, Ky.
Redd and Wertz have also been invited to compete in the car painting category at the Canadian SATA Global Challenge March 18-22 in Concord, Ontario, and the Northern Europe Championships June 18-20 in Silkeborg, Denmark, prior to their trip to Kazan. Redd is a leader in the automotive repair and refinish section of the SkillsUSA Championships and is designated as an expert by the organization. He has been involved with SkillsUSA since 1997, first at the state level, then on the national stage. He is responsible for preparing Wertz for the highest level of skills competition. He began training Wertz last October and will accompany him to Canada, Denmark and Kazan. Wertz, a resident of Tiffin, Ohio, received his automotive technical training at Vanguard-Sentinel Career & Technology Center in Tiffin and at the Universal Technical Institute in Lisle, Ill. 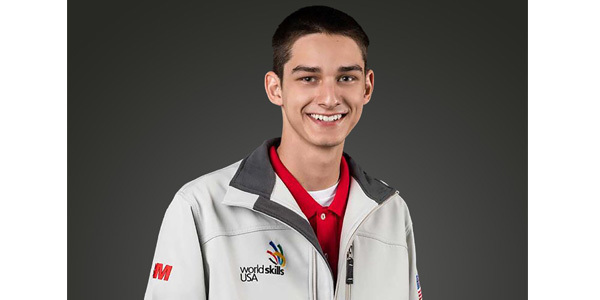 He has participated twice in SkillsUSA Championships, winning gold in 2018. He is familiar with PPG products and has worked extensively with PPG’s Envirobase High Performance brand. It was the refinish brand of choice at Vanguard-Sentinel. Based on previous WorldSkills competitions, Wertz can expect to be tested in all the steps involved in the refinish process — masking, prepping, painting and defect removal. This year, ecological concerns will also be considered. Contestants will be scored on the amount of waste they generate in the refinish process. The waste, including paper, masking tape, paint and other materials, will be weighed and factored into the final scores. The intent is to encourage the contestants to develop a mindset that is concerned with minimizing the amount of hazardous and plastic waste generated in the refinish process. PPG has long been involved with SkillsUSA, primarily in the automotive segment of the competition, and is a major sponsor of the event. PPG employees volunteer their time and knowledge in assisting students or serving as judges for the competition. PPG contributes paint and other supplies (on a rotating basis with three other participating paint companies). PPG also helped establish the refinish competition in 2008. SkillsUSA is a national nonprofit organization that serves more than 300,000 high school, middle school and college students, preparing them for careers in trade, technical and skilled service occupations. The organization helps students excel in their chosen field and qualify for jobs in the real world. The SkillsUSA Championships feature competitions between the best technical education students in the nation. The Amsterdam-based WorldSkills organization, with 80 member countries and regions around the world, is regarded as a global hub for vocational skills. Every two years, it hosts the WorldSkills Competition, during which young people compete for prestigious medals. The event brings together approximately 1,300 competitors to vie for honors in 56 skills across a wide range of industries including automotive repair and refinish. Competitors are selected from skills competitions that are held in WorldSkills member countries and regions.